As the packers and movers at Priority can tell you, preparing for an easy move out actually begins the day you move in. The more prepared you can be for your move out, the easier it will be! The professionals at Priority who have completed California moves of all shapes, sizes, and locations have put together this move-out checklist to help you make sure you can get your deposit back. Check your lease for move out guidelines. Most rental units request a particular process for notifying your landlord of your intent to move out, including a particular amount of advance notice of your intent to vacate. Read over your lease to be sure you understand the restrictions you need to follow as you get ready to move out. The companies that do the most California moves know that different landlords have different requirements, so you’ll need to check your individual lease and other paperwork in order to be sure. Look through your materials from your move-in. You might have a walk-through checklist, photographs, or other notes about the state of the rental unit from when you moved in. Your goal should be to have the unit look identical to how it was when you moved in, so pulling up any documentation from your move in will help you achieve that goal. Do a deep clean. Taking décor off of walls, items out of cabinets and closets, and packing up your home will give you a better chance to assess what work needs to be done before you vacate the unit. Patch any holes in the walls, repaint the walls to the original color if needed, steam clean carpets, and give every appliance a good scrub. You can do some of these steps as you pack up, but you might want to allow yourself an extra day or two after your move to come back to the unit and do further clean up when it’s empty. Keep your contact info up to date. Make sure your former landlord has your new address and any other contact info that might have changed when you moved. You don’t want to be surprised by some remaining piece of business just because your landlord wasn’t able to easily contact you. 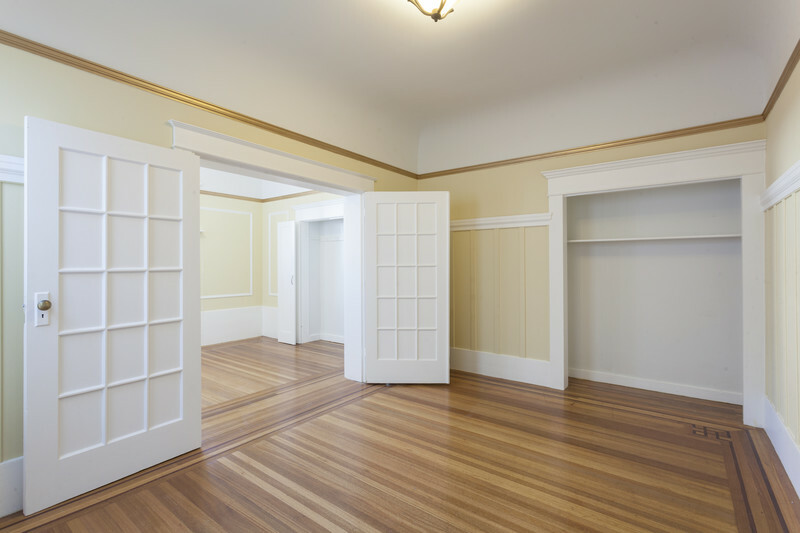 If you’re getting ready to move out of your rental unit, and you want help from experts in California moves, contact Priority today to learn more about our services. We can help you pack, move, unpack, install furniture, get a storage unit, and more. Call us today to get started with your free quote.